Happy Holidays to all of our friends in the music video community! 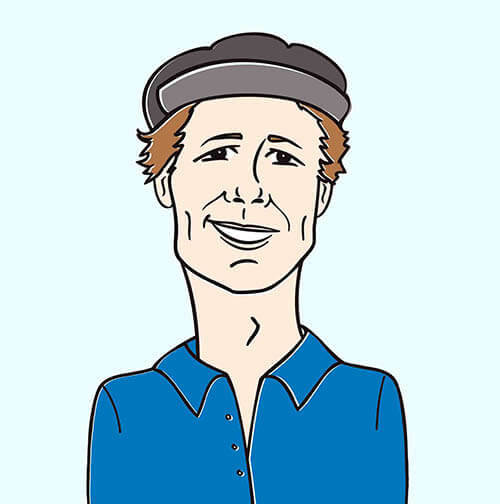 It’s Andy Gesner and the staff from HIP Video Promo, back again with an intimate clip from a terrific young songwriter with a voice like cool water. Rosie Thomas has been making top-quality folk-pop records since 2002; these invariably sound like contemporary indie rock, yet they share more with music from the Golden Age of singer-songwriter music than they do with modern commercial radio. Her latest, the winsomely-titled If Songs Could Be Held (Sub Pop), feels like a direct descendent of the great, confessional Joni Mitchell albums of the early Seventies. Thomas’s work emphasizes introspection and raw emotional honesty – but no matter how bold and uncompromising her performances become, her music is never less than gorgeous. If Songs Could Be Held finds Thomas stretching out, and exploring the full range of her talents. While songs like the luminous “Clear As A Bell” could have fit in perfectly on her startling debut When We Were Small, others find her experimenting with fresh arrangement ideas and pushing her core themes further than she ever has before. Much of If Songs Could Be Held concerns the nature of femininity, and artfully and poetically traces the growth into womanhood. To compliment this more ambitious subject matter, Thomas has begun to subtly introduce jazz elements into her pop songwriting. The album even features a version of the standard “Let It Be Me”, sung as a duet with fellow folk-rock visionary Ed Harcourt. It’s recorded like a straightforward indie-pop song: hushed, breathy vocals, quavering piano, and copious warmth. “Pretty Dress”, the lead single from If Songs Could Be Held, shares some of that sophistication. But this is an upbeat piano pop song, recorded with great emotional intensity and no small amount of energy. With lyrics hinting at transformation and a desperate need to fulfill expectations, “Pretty Dress” nods toward Blue and Under The Pink, and then floats off in a direction wholly its own. Directed by the team of Molly and Mariah – who have also shot videos for Sleater-Kinney and Instruction – the clip for “Pretty Dress” literalizes these themes. As Thomas plays an old combo organ in a dimly-lit den, we’re shown the travails of a stuffed, anthropomorphized girl-raccoon as she gets ready for school. (In fact, all of the characters in this video are plush and knitted – except for Thomas herself, and she’s so attractive, warm, and pleasant-looking that she fits right in with the dolls). As a portrait of a pretty older lady stares down from the wall, the raccoon dresses in clothes that are a bit too big for her; at the dressing table, her feet dangle down from the chair, barely grazing the floor. At school, she’s taunted and beaten by her peers, who kick at her and break her necklace. She later finds solace in the woods with the other woodland creatures. At the end of the video, she becomes life sized and takes off the raccoon costume to reveal that she is none other than Thomas herself. Molly and Mariah have recently established themselves as a team to watch in indie video direction. They’ve received plaudits for their attention to detail and for the thematic coherence of their productions. But with “Pretty Dress”, they’ve really outdone themselves – the intricacy of their design fully realizes their sewn-puppet universe. Even the fire that Thomas plays beside is, upon inspection, a plush fabrication. This is a fully inhabitable world they’ve made for this video – one animated and given great emotional resonance by Rosie Thomas’s aching song. Here at HIP we couldn’t be more thrilled to be working with Megan Jasper, Lacey Swain and the whole crew at Sub Pop to bring you this enchanting new clip from an artist that is completely worthy of your undivided attention. We will have plenty of copies of If Songs Could Be Held for on-air giveaways, so please don’t hesitate to get in touch if you would like to give this deserving artist some extra love. If you need more info, call Andy Gesner at 732-613-1779 or e-mail us at HIPVideo@aol.com. You can also visit www.SubPop.com or www.RosieThomas.com to find out more about Rosie Thomas.